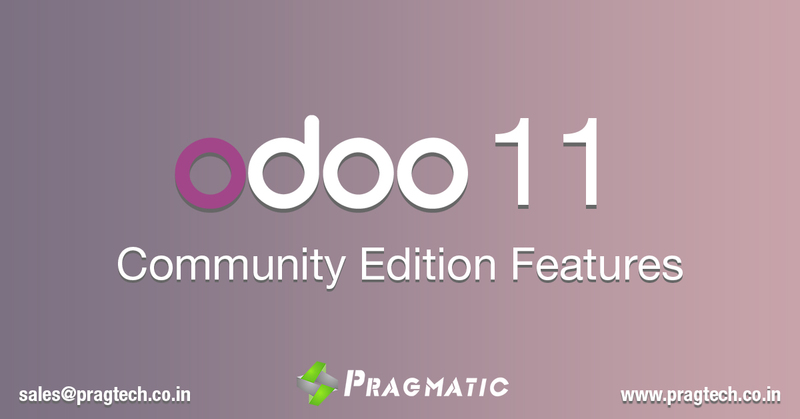 Odoo 11 Community Edition got released on October 4th 2017 at the Odoo Experience 2017. The release has many useful features listed below. As the name suggests this app explore more options for payment and money transfer facilities. You can view different payment methods. Just a click, Install it and publish it on website. One click away from the customer when he visits the website to make the payment acquirer. Choose a suitable payment acquirer, configure it, Choose the specific country and get the instant money transfer. Provide your customer to make payment through different payment acquirer with different methods, as per their choice. Improved Odoo accounting app Turn Quotes Into Invoices with minimal effort. Bill in the accounting is automatically based on Sale Order, delivery orders, contracts or time and material. Odoo accounting provides features to Create invoices based on quotes sent to your clients, Send professional looking invoices directly to your clients in just a click and Automatically send them by email as a PDF attachment or print and send them by post. Odoo facilitates you to get paid faster. It provided Online Payment and automated follow ups . It Accept online payments via Paypal, Ogone, Buckaroo or Adyen and Eliminate the stress of sending reminders for late or outstanding payments. Thus it Simply set up and automate follow-ups to get paid quickly. Improved accounting app Simplify your accounting and Keep track of bank account movements and the status of invoices. It Analyze your sales. You will Get direct access to key information with dynamic and customizable dashboards. Make your own definition and analyze your invoicing by product, customer, salesperson, etc. Odoo 11 has just improved this app in so that user can easily find some shortcuts directly within the text box. Write a message to the members of the channel here. You can notify someone with ‘@’ or link another channel with ‘#’. Start your message with ‘/’ to get the list of possible commands. You can even attach the documents in media format with the message and send it with exciting emojis, isn’t it user friendly. Star mark the important message and view all the starred messages in just a click. You can pay to multiple vendors at once. Odoo 11 automates your purchasing workflow, and automatically sends RFQ to all suppliers based on your stock level, also create Purchase agreement easily. Improved Manufacturing app simplifies the manufacturing processes. It provides online and easy MRP application. The improved manufacturing app efficiently schedule your manufacturing process and Keep track of resource capacities and avoid bottlenecks. You will get a seamless and effective manufacturing process by automatically scheduling orders based on procurement rules, quantity forecasts & dependent demand. You can define routings and plan the working time and capacity of your resources and quickly identify resource requirements and bottlenecks to ensure production meets delivery schedule dates. This app provides you to enjoy complete flexibility in manufacturing process. You can manually edit all operations at any stage in the process. With Odoo, you won’t be frustrated by a rigid system. You can design specific templates for each operation and use the set of tools to find solutions for any issue. This open source software allows you to organize manufacturing orders and work orders in any way you like. 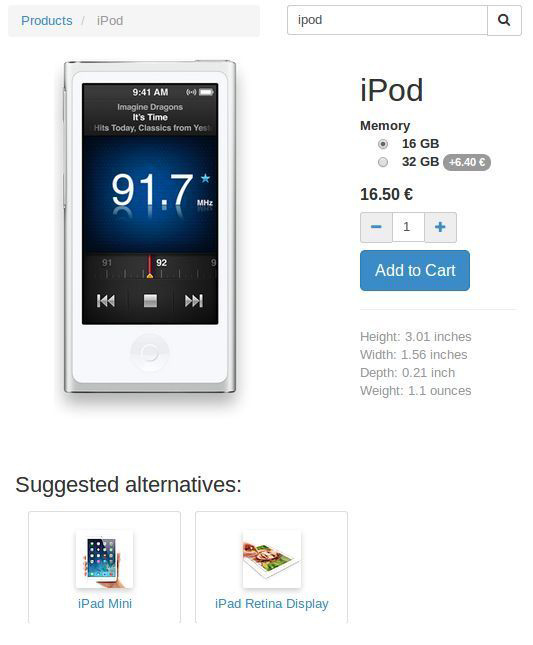 Thus, it provides a simple and powerful user interface. You can even define flexible Master Data by having the flexibility to create multi-level bills of materials, optional routing, version changes and phantom bills of materials. You can use BoM for kits or for manufacturing orders. It provides you with advanced analytic features to get get accurate data on your process where you can Track the changes in stock value according to the level of manufacturing activities as it progresses through the transformation process. Improved Manufacturing app is fully integrated with sales, purchases and inventory modules and programs to make manufacturing resource planning accurate. The accounting integration allows real time accounting valuation and deeper reporting on costs and revenues on your manufacturing operations. Quality checks, steps & scans integration of serial directly in the worksheet. Edit posted transactions at any time. if you are a manufacturing manager, you change the serial number of manufacturing order. Its nothing more complex than that. Improved reports: traceability, costing, BoM structure. You will notice that website has new themes and theme selector, with new animations, you can design your page with drag and drop features even you have Published and unpublished button for your preferences. a new HTML or CSS less editor.It is supercool as it not only is CSS less editor but you can change one variable and word interface channel. You can have new page manager, and you can manage and rename every page and change the URL with these you get option to publish it, Indexed it or show it on Top menu. You can even redirect to your old URL. This has new dashboard with integration of all applications and even you can your eCommerce stuff on website. Reduce your stock while always staying replenished! Odoo Inventory is fully integrated with the Purchase module, so you can trigger automatic RfQs to your suppliers when your stocks levels are too low. Handle complex routing such as drop-shipping, cross-docking, and multi-warehouse in just a few clicks. Odoo routinely integrates them into the system. Inventory management app is so simple because it has made Drop shipping, minimum stock level and other complex problems looks so simple. So you will get all improved Inventory management app for better and efficient business. Odoo chatter changed the way we communicate around business documents. Improved Odoo chatter improves company communication, discuss the things. New feature added to it is Schedule Activities. If Odoo chatter is about the past then Scheduled Activities is about the future. It organizes your activities with mails and meetings integration. So whenever you are busy in meeting you will see the messages on your screen. is very interesting and has got sets of fantastic info.